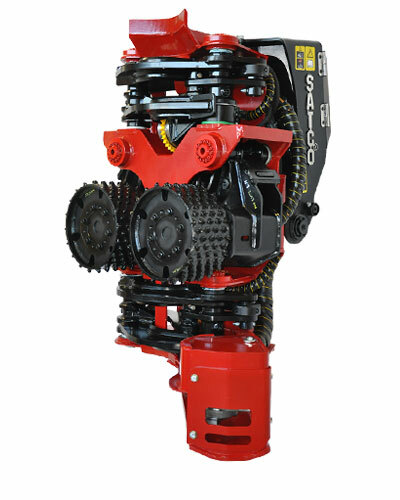 The SATCO® 214 is a small harvesting processor head with heavy duty features designed to carry out a range of operations from thinning to medium/final cut. There are two sets of moving delimb knives and one fixed top knife. With two independent drive rollers following the contour of the stem, the job is done with ease. With many parts used in common throughout the 214, spare part stocking is minimised. The SATCO® 214 - the smallest in the family with big features.